For quite sometime now MTN has been reviewing almost all their data plans and also slashing down the prices. 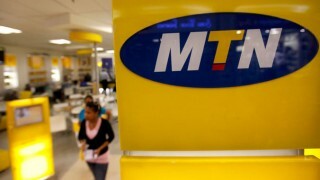 Now mtn has decided to do something similar to their tariff plans by introducing new and cheaper tariff plans. Since Mtn stopped the Tru-Talk+, call rate has been a bit higher and most customers has been left disappointed. In a bid to make call tariffs cheaper for its customers again, Mtn has just introduced two new call Tariff plans which are the MTN Xtra Pro and the MTN Xtra Special. The new MTN XtraPro tariff plan allows you to make call to all network at 11k/sec (6.60k/Min) on flat rate with a daily access fee of N5 or you may be charged at 20k/Sec (N12/Min) if MTN are unable to charge you the daily access fee probably due to insufficient balance. And aside the cheaper call charges, you also get an additional benefit which is daily messages on health tips for 7 days. To migrate just dial *401# and select 1 to migrate OR sms 401 to 131. The MTN XtraSpecial is also one of the new MTN Tariff plans. Unlike the Xtrapro, this plan charges 15k/Sec (N9/Min) on a flat rate to all networks in Nigeria without any daily access fee and and you also get to call some selected international destination at the same rate and aside that, you get an additional benefit which is free EPL Video Service subscription valid for one month. To migrate, dial *408# and select 1 to migrate OR sms 408 to 131. So if you happen to be type that calls a lot and probably everyday then you might want to try out the MTN xtrapro and if you don't call very often then the Xtraspecial is the better plan for you. Note: Just like every other MTN tariff plan migration, migrating from another plan less than a month after your previous migration might attract a fee of N100 and if you are migrating after one month then it's completely free.